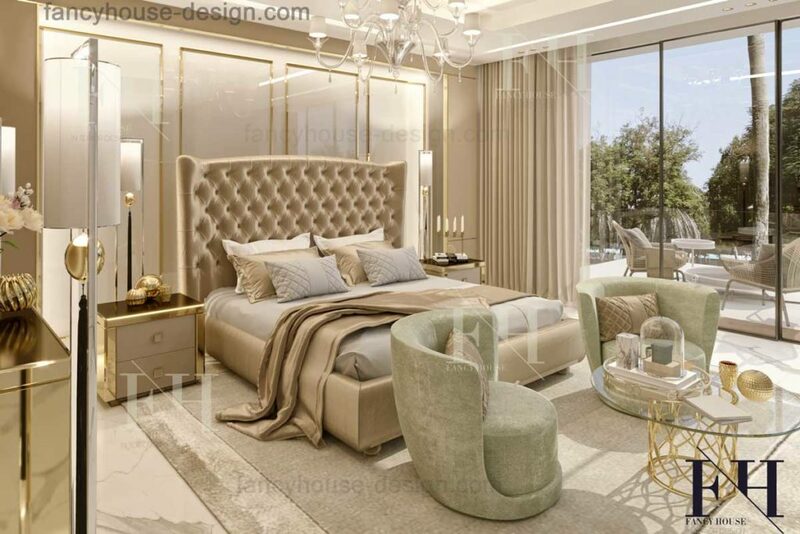 The home interior design is created by one of top residential home interior design companies in Dubai. 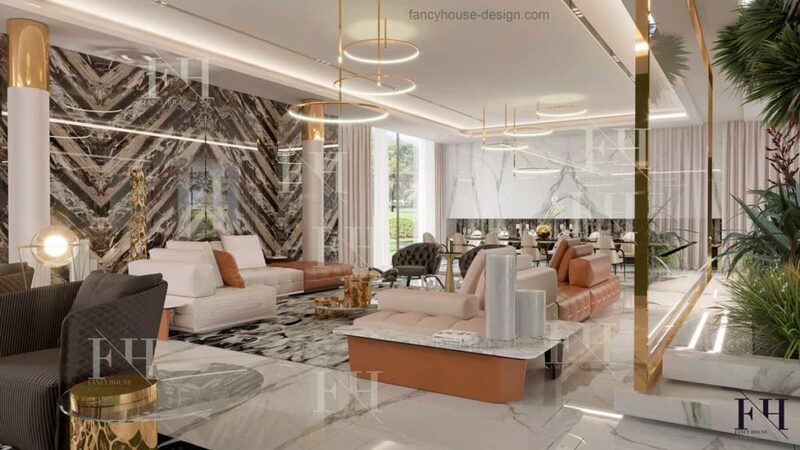 We present one of our modern house project made in 2019 year in a contemporary luxury style. 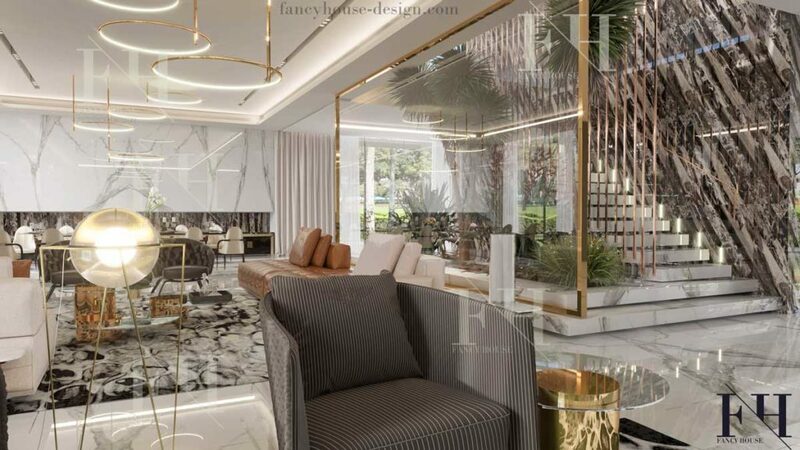 The Dubai villa decor and internal design is developed by our designers as an open space concept. It means we starved to avoid walls. Instead of it the transparent partitions, glass and empty space are zoning the living area. The ground floor has 2 formal sittings & dinning, family living with a show kitchen, as well as a main staircase. All these rooms are combined into a single space. 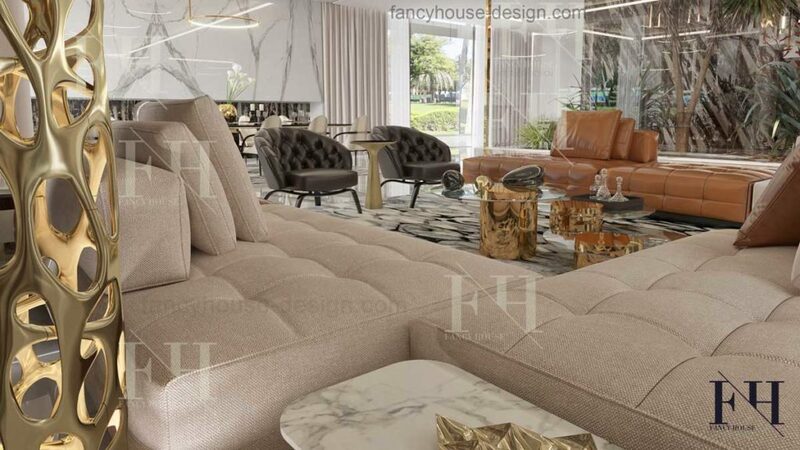 Take a look at this stunning villa and make sure in the our designers work. 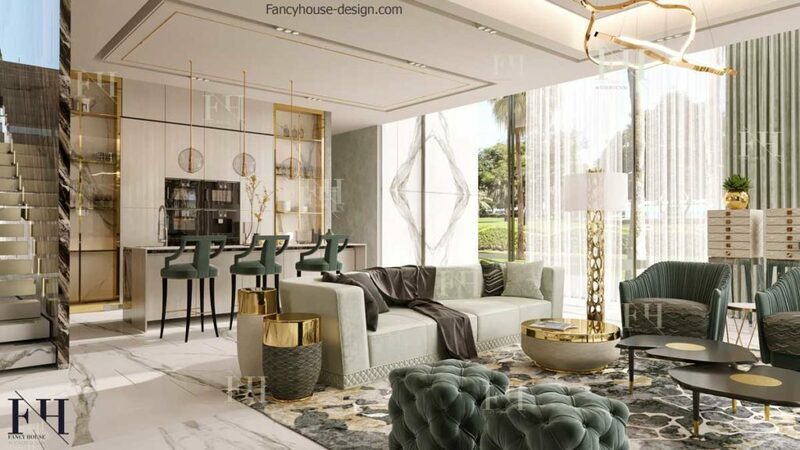 Designers of Fancy house interior design company in Dubai created a beautiful light house. There are large windows in full growth, white marble on the floor and on the walls. Also, we used light wood and live plants & even trees. Thus, the premises is an oasis of freshness, which is so lacking in the homes of the UAE. At the same time, it is filled with details and dark accents, fashionable rose gold finish, made of stainless steel strips. The lounge consists of 2 sittings and a main dining. You can see, all of them as a large space separated by decor & finish materials. The center of the space is emphasized by book matched marble stone. The decorators came up with original decor for the columns: large sheets of gold steel ringed them. This creates a very elegant decorative effect. A floating stair is an excellent decoration for any modern home interior design. It looks stylish and such staircases are very functional. Here we decorated it with real plants to bring green eco style to the living room. The hedge made this place where you want to stay. The family sitting is not separated from the formal part, so our designers used the same decoration elements and flooring. However, the interior decoration is dominated by wooden cover here. Did you notice the marble cladding on the wall near the window? We made a book matching marble inside and outside the building. An impressive effect when the room smoothly transitions to the villa exterior. 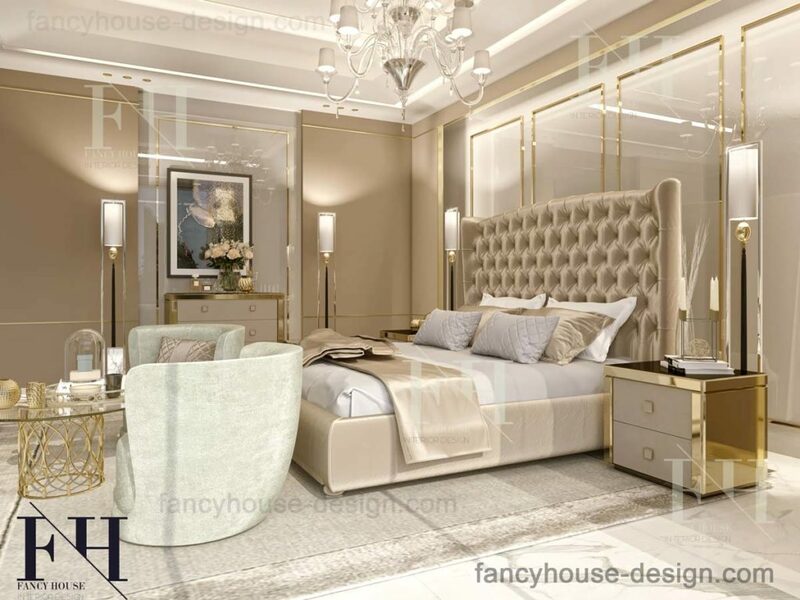 The master bedroom is made in light pastel colors with an inlaid of gold strips. The bedroom has the same decorative motifs that are presented on the ground floor areas. how much does a home interior design cost? Check out our prices right here. Our specialists do a mix of fashion ideas and trends with the correct geometry and zoning and decoration rules. A fancy house is creating by a professionals with a refined taste.. Hire us, a professional home interior decorating company, to realize it. 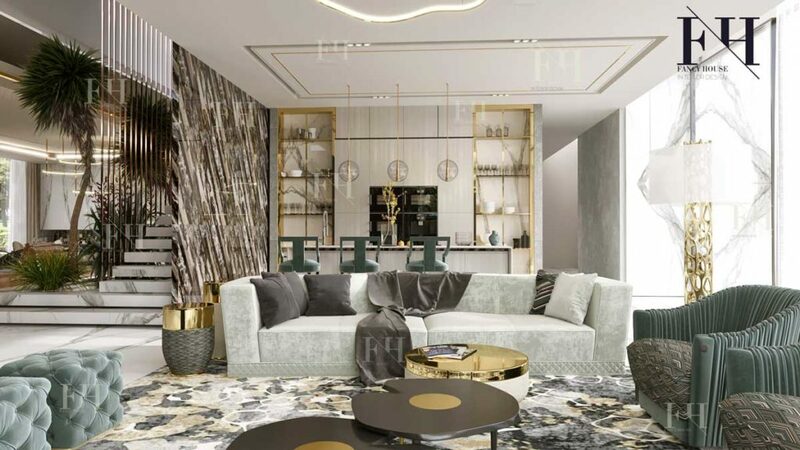 There are our actual for 2019 year prices for home interior design services. Our fees are fixed and depends only on a house size. 130 Dhs is for 700-1000 sq.m. projects. To get more cost information and what’s included in it, visit the pricing page. What kind of premises you would like to decorate? A villa, an apartment or so? Which style you like? We work in modern and classical styles. If you have ideas how you house should look like, describe it in comments. Let us know an approximate size of your house in square meters. Let us know the location. We do both: interior design & fit out execution. Choose which services you need. Do you have any questions? Do not hesitate to write to us. Please describe your project to help us to understand it quickly.